Mike Pence says making abortion illegal saves lives. History proves the opposite. Before the Supreme Court legalized abortion in 1973, scores of women died from illegal abortion care. There’s only one problem: Making abortion illegal will not in fact end abortion in America. Doing so will merely drive it underground, making it unsafe and unregulated, and will result in the needless deaths of women. How’s that for restoring the sanctity of life? I just know in my heart of hearts that this will be the generation that restores life in America. Pence’s dream of returning America to a pre-Roe dystopia, in which forced pregnancy and birth is the law of the land, comes as no surprise. His extreme anti-abortion record is well documented and bereft of consideration for women’s lives, health or history. Because we know what will happen if we make abortion illegal. Before the Supreme Court legalized abortion in its historic Roe v. Wade decision in 1973, scores of women died from illegal abortion care. According to the Guttmacher Institute, a research and policy organization that focuses on reproductive health, the death toll associated with illegal abortions was significant: In 1930, abortion was listed as the official cause of death for almost 2,700 women, or 18% of maternal deaths recorded in that year. In 1965, death-by-illegal-abortion accounted for 17% of all deaths attributed to pregnancy and childbirth that year. And those are just the reported cases. Pence’s dream of returning America to a pre-Roe dystopia, in which forced pregnancy and birth is the law of the land, comes as no surprise. Then there are the many women who have bravely shared their own experiences, describing painful kitchen-table abortions, waking up in pools of blood and having coat hangers inserted into their wombs. Desperation drove up to 1.2 million women per year to terminate their pregnancies in the 1950s and 1960s, even though it meant putting their lives and health at risk. Where there is a will, there’s a way. And this pattern will surely repeat if Pence gets his way. Conversely, legalized abortion saves women’s lives. Deaths from abortion declined fivefold between 1973 and 1985 (an immediate, positive impact of the Roe v. Wade decision), and they are now a rarity. What’s more, legal abortion enables women to obtain abortions earlier in pregnancy — when it is safest — thereby reducing the risk of complications. Desperation drove up to 1.2 million women per year to terminate their pregnancies in the 1950s and 1960s, even though it meant putting their lives and health at risk. For Pence to deliver a triumphant speech exalting the efforts of anti-choice legislators and activists — and encouraging them to “do the work” until abortion is outlawed — is essentially promoting the injury and death of women. One cannot claim to respect the sanctity life and also be willing to impose deadly consequences on a large faction of the population. While abortions are generally on the decline, which is good news, studies suggest between one third and one quarter of women will have an abortion during their reproductive years. Stripping away the legal right to abortion care won’t save lives. It will only jeopardize women’s health and wellbeing. 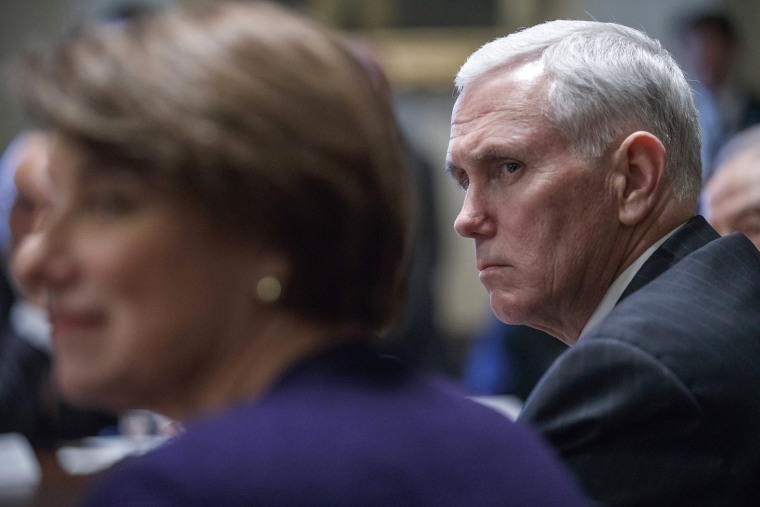 If Pence was really serious about women’s health, he would be talking about improving access to contraception — something that is believed to be a driving force behind the decline in unplanned pregnancies. But that’s not his style. Make no mistake: If history repeats itself, women will needlessly die because of people like Mike Pence. Maureen Shaw is a writer, activist and proud mama of two. Her writing has appeared widely online, including Quartz, Teen Vogue, The Atlantic, Huffington Post, Rewire, ThinkProgress, Romper, Parents and more. She tweets prolifically at @MaureenShaw.